When the personal commission was recieved by MandalArms from Mand'alor herself to design the second Mandalorian Super Star Destroyer, the honour was felt by all within the company. They had been recognized for all their hard work and dedication to the vode, and the project would be a labour of love for all of them. Indeed, the head of R&D, Yomaget, managed to avoid the Warmaster's interference for three straight days, a new record, and by the time Kaine got hold of him, a sensible, elegant, and powerful design was already on the drawing board. 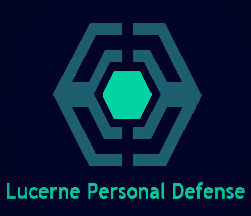 Foiled, Kaine had to surrender the lead to the experts, sticking to lesser elements of the project, thus it continued with a degree of professionalism, organization and forward thinking not often seen among research and construction projects with which Kaine was directly involved. Significant influence by the Hodasii design bureau can be seen in the somewhat unorthodox finished design, explaining why the vessel appears unlike Mandalorian ships of the line. Though she is elegant, state of the art materials science and starship design has gone into the construction of this mighty warship. 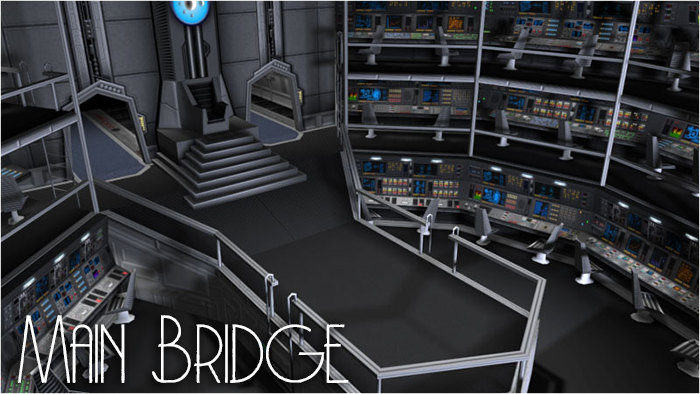 The Main Command Bridge is far more functional and less elegant and opulent than any other area on the ship. Automated units support banks of computers, all manned by trained crew, supporting the ships systems, and ensuring the vessel operates at peak efficiency. With such colossal power generation and utilization, entire sections of the bridge are given over to power management. The central focus of the bridge is the command throne. From it, a neural interface allows the commander to link with the vessel, and operate it by thought. Though this process requires some training and experience; the process is made somewhat easier by the AI nodes aboard the ship. Between an experienced commander, and two artificial intelligences for assistance, commanding this vessel is made both effortless and instinctive. Command of the vessel's systems, weapons, and fighters as well as the onboard troops and marines normally assigned to defence, and including any troops quartered aboard; which can be handy when defending the ship from attack. There are troop decks able to handle legions of soldiers for weeks at a time, with barracks and armoury facilities able to support large numbers of line units. When time comes to deploy, access from the troop decks to the hangar decks is simple and convenient; whether by transport or drop pod, troops aboard this vessel are always ready and able to deploy into battle. From the newest recruit, an unlikely sight aboard a flagship, to the most hardened and seasoned Ori'rami'kade, all find a suitable home away from home aboard this huge ship. The vessel is gargantuan. Her hull is thick Turadium/Durinium alloy, the lower hull built flat and wide, well armoured and with a honeycombed interior structure of Tungstoid that allows for damaged sections to be closed off by blast doors in moments, minimizing internal damage in battle. To the rear, massive sublight engines propel the huge vessel, well shielded from the rest of the ship by Agrinium for the hard radiation, and Dallorian alloy for the heat. On the underside, towards the bow, the massive mile long barrel of the Daedalus Cannon is suspended beneath the leviathan, ready to blast destruction at the enemies of Mandalore. The bow of the vessel is wide, mounting multiple sensor and weapon emplacements and giving the ship a decent front on punch. The offensive firepower up top is extensive, with multiple large turrets capable of traversing and covering the vessel to the front and to the sides. In the middle of the upper superstructure is the heart of the ship which resembles a large city. The Turadium plating here is as solid as elsewhere, and the viewports, though extensive, are armoured and thick. Elegant spires and towers dot the upper deck towards the massive command tower at the rear of the dorsal surface. Both at the bow and stern, wings extend from the hull like massive rudders, giving the vessel assistance if required to maneuver in atmosphere. They also contain heavy shield projectors and defensive emplacements, well sited to cover the flanks of the ship. Smaller weapon turrets provide the ship with heavy close-range firepower, capable of tracking targets smaller and faster than those suited to the heavy dorsal turrets or broadsides. And the broadsides themselves, in the opinion of Yomaget and his engineers, they are like nothing the Empire has ever seen before. Weapon emplacements dot the hull for kilometers in neat rows, one above the other, deck after deck of heavy energy and kinetic weaponry, the finest and largest weapons produced by Manda'yaim. A full broadside from this ship is something best avoided. Though her tough and sensor-resistant hull would no doubt protest the attempt, if she were sawn in half, the vessel would appear to be layered almost like a passenger liner, with dedicated decks for each task or facility. The vessel's upper decks are the grandest and most opulent, with support decks between, and then below, the commercial and military areas, again, with support and engineering decks to facilitate rapid movement of personnel and cargo within the colossal starship. The lowest decks house the industrial, cargo and many of the major engineering sections of the ship, bare hull and exposed pipes and conduits abound. Among all of these decks are holcams and monitoring sensors to keep track of the goings on. It would take an army of beings to collate all of this information. Fortunately for this vessel, the multiple secondary nodes housing the various Mandalorian AIs are able to handle the processing task, providing the ship as a whole with excellent internal security, insofar as monitoring is concerned. Though formidable like nothing else designed by MandalArms before, she is far far more than just a warship. Visually and functionally the ship acts as a mobile colony. Over a quarter million crew, troops and pilots call the vessel home. Residences vary from bunkrooms all the way to lavish staterooms to rival any in the galaxy for the upper ranks. This includes a pair of hotels, the spartan but functional Sloobie Shack and the more luxurious Cassicastle. Both have rooms from basic to penthouse size and opulence. Commercial areas span several decks, encompassing restaraunts, retail outlets, a swimming pool complete with model sailing ship, and at the lowest levels, an aquarium. The lower ranks and lower decks are spartan, crowded, functional, but less than pleasant, these contain the crew quarters and all of the industrial areas that support the vessel and crew, from sanitation to laundry to cleaning and loading, and all of the support personnel and their army of droids. The middle decks, the military areas, the commercial areas are well appointed, state of the art, and well manned and equipped. This includes the hangar bays, main maintenance facilities, and the secondary command deck. Certain areas, the command deck itself, the Admiral's suite, the executive deck, and the Mand'alor's private apartments, are as opulent and grand as any palace anywhere in the galaxy. Massive vaulted ceilings, grand halls, museums, and luxurious apartments fit for royalty. Travelling in command of this vessel is style unlike anything seen on Manda'yaim before. There is a lot of room to move on such a massive ship. The vessel was given her name by the Warmaster, with the Mand'alor's assent, and that of the Wue'gi'vode council. Nu Draar Tug'yc. In Mando'a; Never Again. The name spoke to the trials of fire Manda'yaim and the vode had come through; The Crusades, the Vongese, the Plague, the Cataclysm. For Kaine, more recently, the burning of Myrkr. Never again, while this ship was in the stars, would anyone, aruetii, or dar'manda, sith, jedi, or shabla anyone at all, cause harm to the vode. Nu Draar Tug'yc is mighty, and she does not kneel. Edited by Kaine Australis, 13 August 2018 - 11:03 PM. This is ready to be reviewed. Which one of those swarms is being used for this? 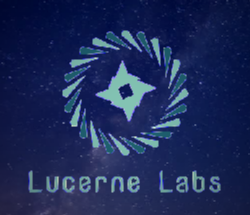 2) Make a submission request to change the Nanite Defence System from needing to use an AI (something like a ship computer might work). Remove mention of AIs from the rest of this submission. Gir Quee No worries, the AI is essential to the functioning of the ship so i've removed the nanite defence system. The original submitter of this piece of equipment has clarified that the "Mandalorians" under the affiliation was meant for a specific faction named specifically the "Mandalorians", rather than Mandalorians as a generic culture, to include the Mandalorian Empire. He has placed a request in the tech submission thread requesting that it be changed to prevent further miscommunication. In order to respect his wishes, I'd like to see this piece of tech removed from this submission. Gir Quee No worries, I have removed that piece of tech from Advanced Systems.